Lucille Packard Children’s Hospital utilized All Points Media’s network of fitness studios in the San Mateo and Santa Clara Counties. 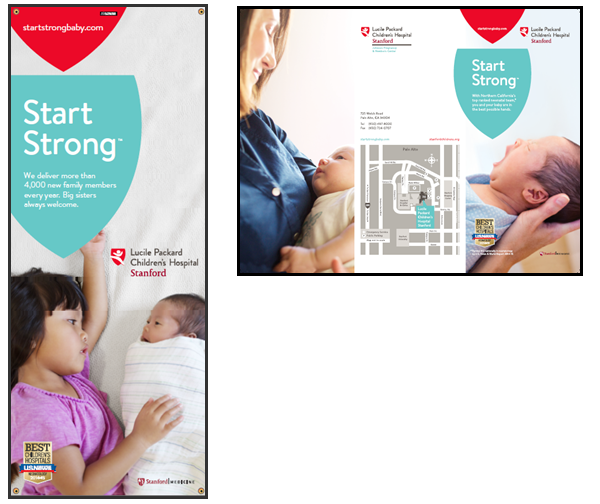 The network was used to help increase awareness about Lucille Packard Children’s Hospital Stanford, a birthing center at Stanford Hospital in Palo Alto, California. (100) 8.5”x11” full color tri-fold brochures attached. Designed by APM | © All Points Co.